Please read before using your new LipoSack! Thank you for purchasing a LipoSack! Please read these instructions before using your new LipoSack. Adherence to these simple instructions will ensure many years of use of this product. The use of a LipoSack does not guarantee total protection of surrounding surfaces. 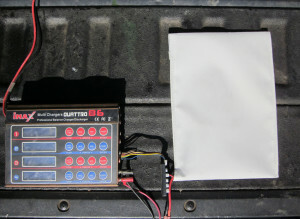 It is simply intended to manage the effects of a battery failure during charging or after a crash. Charge batteries in a safe area away from flammable materials and only on a non-flammable surface in a vented area. Do not discharge batteries below 3.3 volts/cell. Doing so may result in cell damage and subsequent cell venting upon a subsequent charge. Do not recharge damaged batteries. Dispose of damaged batteries in the approved manner. Some Lipo chargers on the market may have technical deficiencies that may cause it to charge the battery incorrectly or at an improper rate. It is your sole responsibility to assure that the charger you purchased works properly. 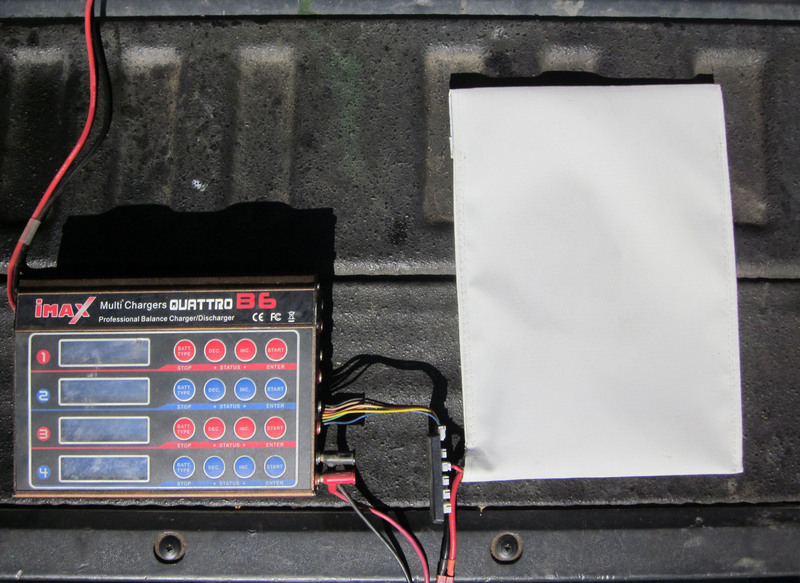 Always monitor the charging process to assure batteries are being charged properly. Failure to do so may result in cell damage or fire. In the event of a crash, you must remove the battery from the model for observation and place in a safe open area away from flammable materials. 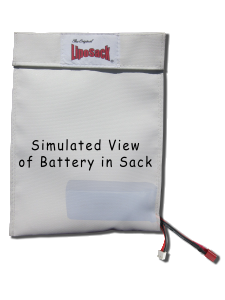 Place battery in LipoSack. NOTE CHANGE: Route charge and balance leads through vent at the bottom right corner of the LipoSack. Place LipoSack on non-flammable surface. Close top flap of LipoSack and press hook and loop closure fully closed. Charge battery using approved charging practices. Avoid damage to the LipoSack. Replace if it becomes ripped, worn or is involved in a battery failure. 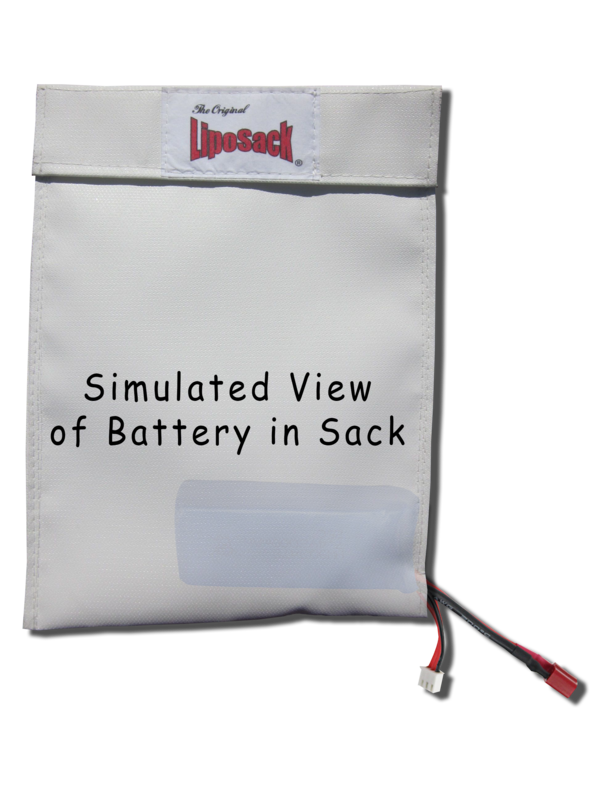 If your LipoSack is involved in a failure resulting in a venting of the battery and fire return it to LipoSack.com with a statement of the circumstances and receive a replacement LipoSack free of charge!